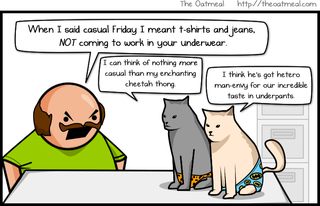 Just got a memo that says we're doing casual Thursday AND casual Friday this week. What's next? Anarchy?